What is fluency? Author Elfrieda “Freddy” Hiebert says it’s “not speed reading.” Hiebert observes: “What we’re talking about is getting kids to read at rates where they’re not thinking about the words they’re decoding.” QuickReads is a supplemental literacy intervention program that improves students’ fluency, comprehension, and content knowledge. 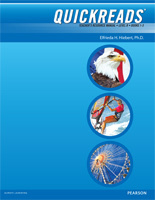 Short, nonfiction texts are read quickly, repeatedly, and meaningfully. 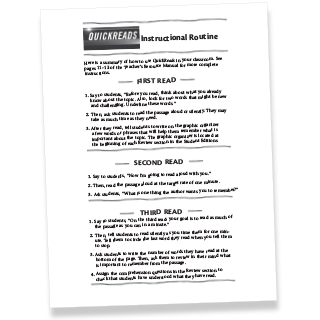 The instructional routine takes just 15 minutes a day, 3 to 4 times per week, so it’s easy to fit QuickReads into your curriculum. 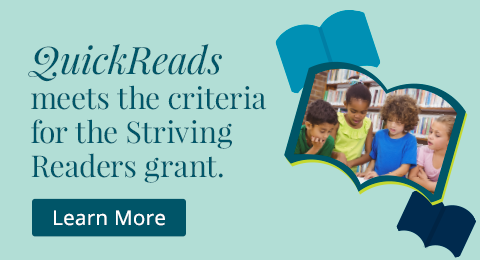 Use the program with at-risk students, English language learners, and for tutoring. It’s perfect for an after school or summer school program too. 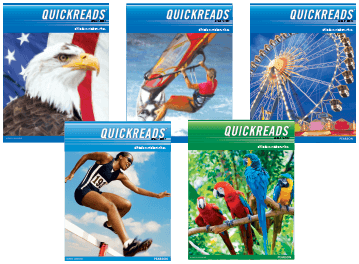 Meet QuickReads. Watch this short, 2-minute video. QuickReads text passages can be read quickly, in about one minute. 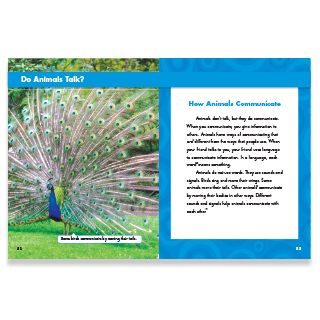 The passages build fluency with high-frequency words and grade-level phonics and syllable patterns. Students improve vocabulary and build fluency with repeated readings. 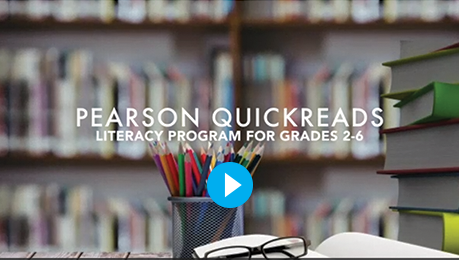 A “three-reads” instructional routine helps students read more effortlessly. Just 15 Minutes Is All It Takes! It’s easy to add QuickReads to your day. 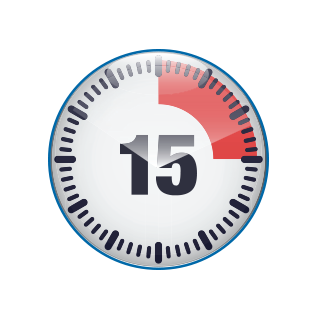 Instructional time takes about 15 minutes, 3-4 times per week. 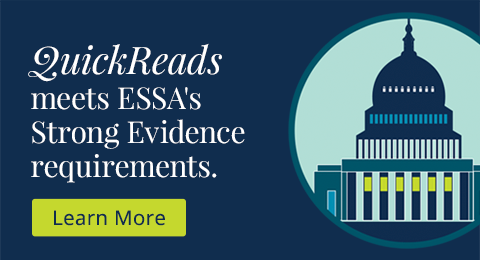 QuickReads received a “strong” ESSA Rating.